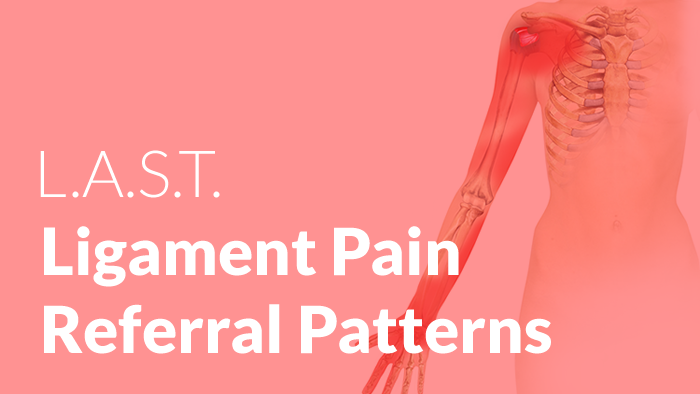 NEW Ligament Pain Referral Pattern Posters! Thanks for being interested in the Ligament Pain Referral Pattern Posters. I greatly appreciate you taking the time to enhance your education about pain science and the possible drivers of your patients experience with discomfort or pain. I’m dedicated to improving our education as clinicians and the knowledge of our patients. That’s why I’ve temporarily suspended purchasing of the posters. Over the last year I was fortunate to come across updated research pertaining to the Ligament Pain Referral Patterns. I took this research and had BRAND NEW images created. We are just in the middle of formatting the NEW posters and will have them available to you very soon. For now, I’d like to offer you the opportunity to get the information on the Ligament Pain Referral Patterns as part of my online education for FREE. If you have Registered any of my Online Courses in the past you may have already seen that you now have access for FREE to the Ligament Pain Referral Pattern Online Course. If you haven’t Registered yet, when you Register for any of my Online Courses, you also receive the Ligament Pain Referral Pattern Online Course as a courtesy. Register for ANY of the Online Courses and you’ll get immediate access to the Ligament Pain Referral Pattern Course. Watch this page in the future for your opportunity to purchase the NEW Ligament Pain Referral Pattern Posters.